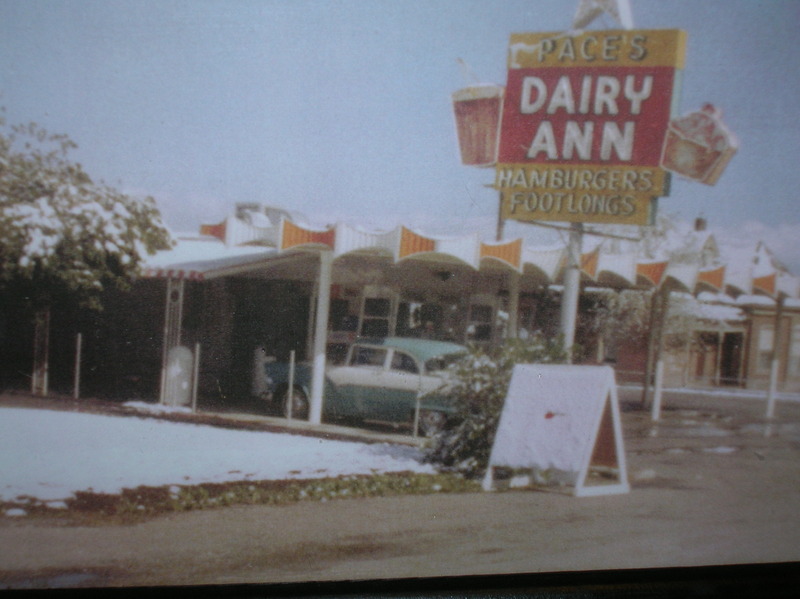 The Pace family first embarked on the fast food business in the early 1950’s. 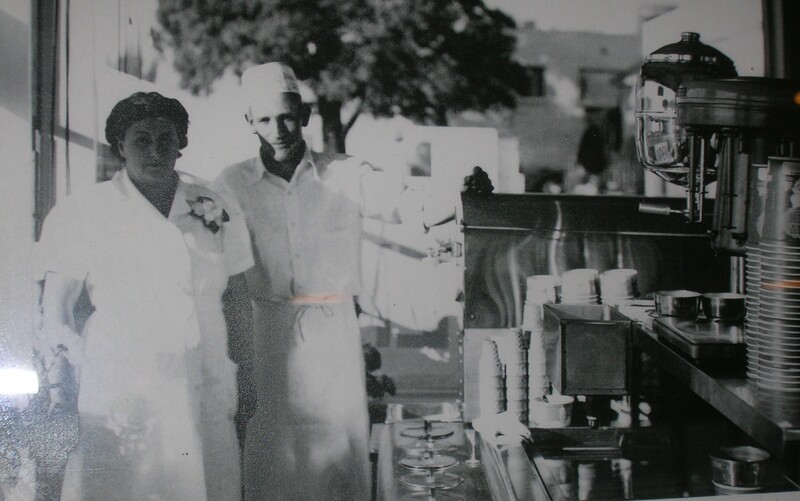 Gordon and Elizabeth Pace started their first restaurant in Bountiful, at 207 South Main Street as Pace’s Dairy Queen. Their participation in the Dairy Queen franchise only lasted a few years as they wanted the freedom to sell their own food and ice cream creations. 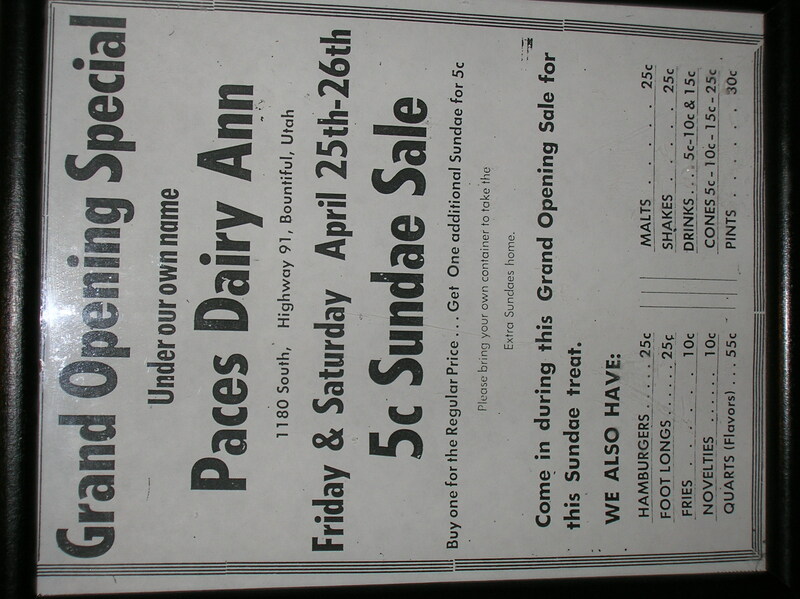 In 1957 they opened Pace’s Dairy Ann (in honor of Elizabeth Ann) at its current location, at 1180 South 500 West in Bountiful. They offered many of the same items that are available today including specialty ice cream treats. 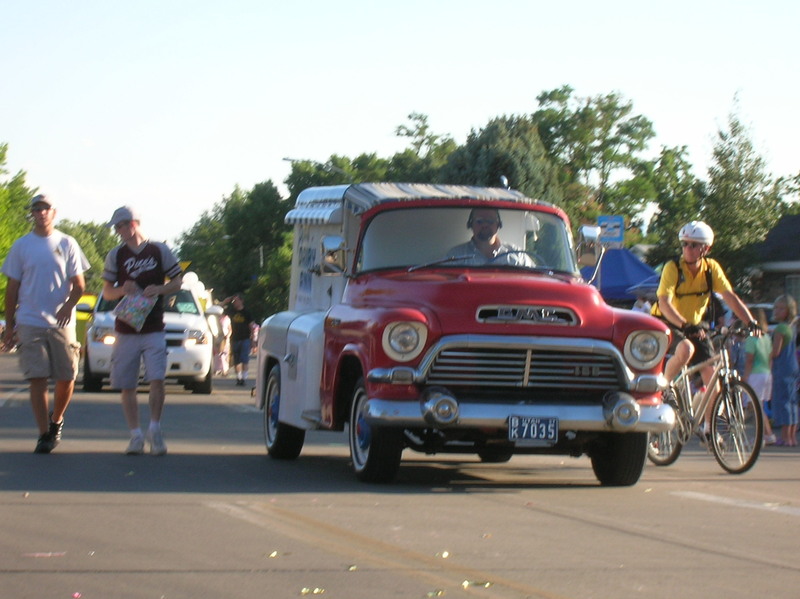 To increase availability in outreaching areas, five ice cream trucks ran routes from Ogden to Provo Utah. Many children were thrilled when they heard the music from the Pace’s ice cream truck coming on its daily run! Three of the original trucks are still owned by the family. One of them has been fully restored (except for the freezer) and can be seen on occasion parked in front of the restaurant and in the local parade. 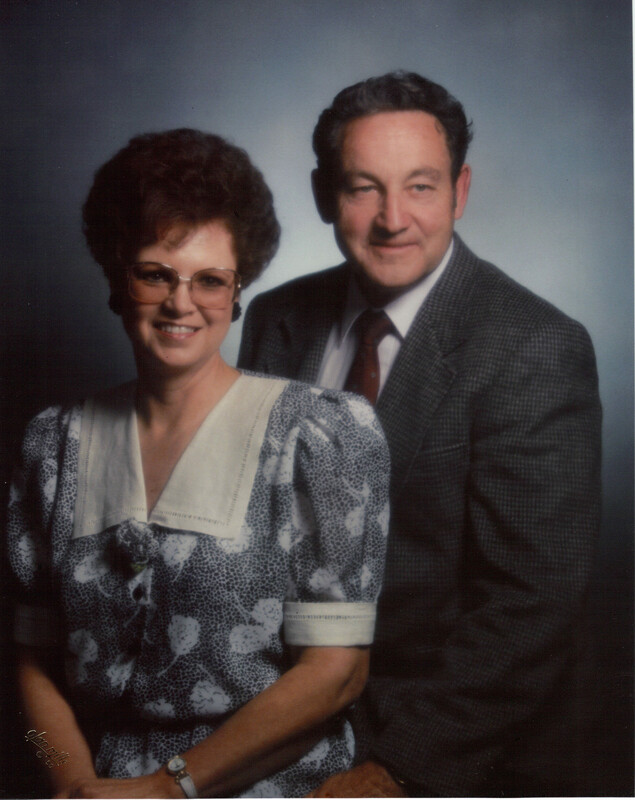 Gordon and Elizabeth’s son Ralph and his wife Carolyn were the second generation to run the business. It was a family endeavor with all seven children working at the restaurant with their parents, learning the ropes of the business. 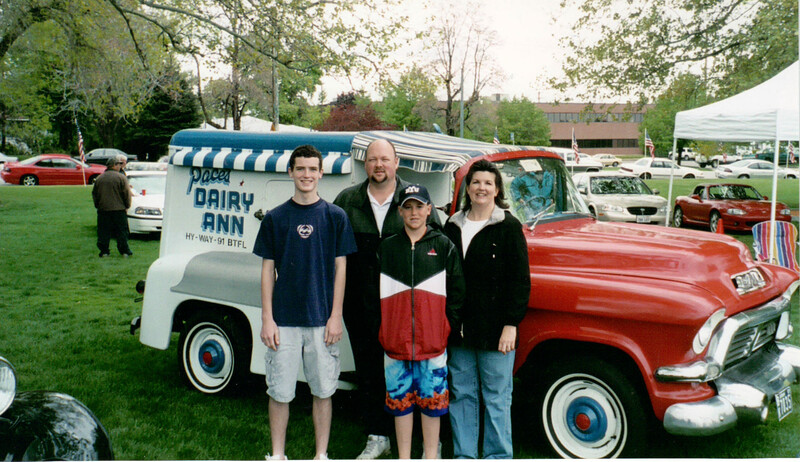 Ralph and Carolyn’s son Todd is the third generation owner and operator of Pace’s Dairy Ann. Todd began working at age six, putting sticks in the popsicle molds as they were produced onsite. He has worked at the family business ever since. Todd is dedicated to keeping the tradition of Pace’s Dairy Ann true to its origin. His motto is to offer the best quality food at the best possible prices. Todd’s children have all worked at the business, and his youngest son Austin is now helping to operate the restaurant as head manager. He too is dedicated to the tradition of the family restaurant. Todd enjoys antiques and has brought a nostalgic feel to Pace’s Dairy Ann with old gas pumps, antique signs, and Coke memorabilia. Come enjoy the historic ambiance and great food. It’s like taking step back in time!